Stay comfy on our hammock sleeping pad! Our latest innovation, a hammock sleeping pad! 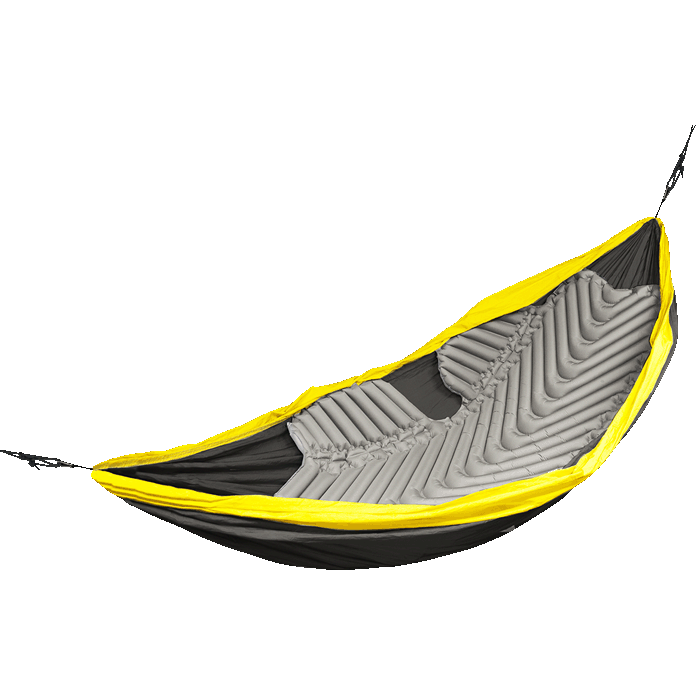 Our Hammock V is the perfect sleeping pad for any trip where a hammock is involved. 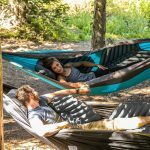 Fit’s all standard hammocks, either single or double wide. 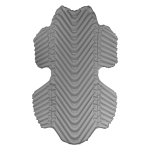 Comes coated with non-slip zones on the top and bottom to keep your pad in place. The side rail wings, deep valves and flush flat valved will keep your body wrapped up and create a barrier from the cold. And we couldn’t not mention our signature V chamber design, which limits air movement so you stay nice and warm. 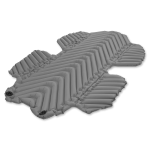 Like all our sleeping pads the Hammock V inflates in just 15 – 20 breaths and weighs only 765 grams! Also includes a patch repair kit just in case. Take one with you on your next camping trip. 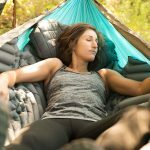 Hammock Ready Design: Specifically sized and patterned to provide comfort and no-slip security while sleeping in all hammock. Rugged Material: The 20D polyester material provides solid tear, puncture and abrasion resistance for minimal weight. Anti-microbial Laminate: A treatment permeates the inside laminate to inhibit the growth of microorganisms, including fungus and bacteria, that can cause odors and material damage. 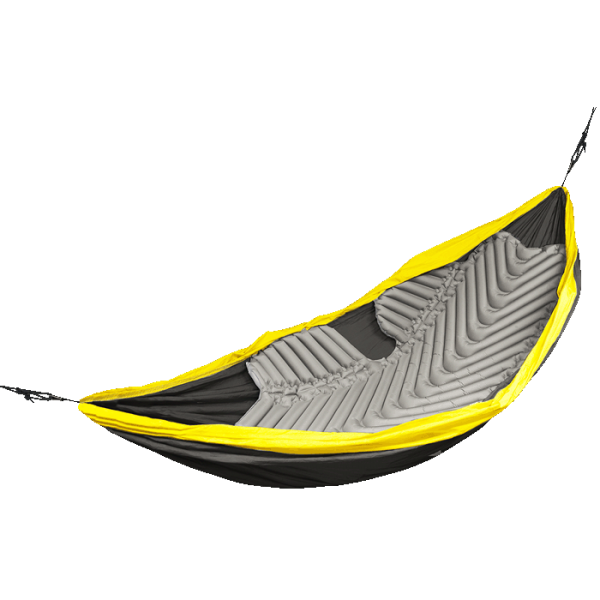 Lightweight Design: Weighs only 765 grams and when going for a lightweight is the perfect pair for any hammock. 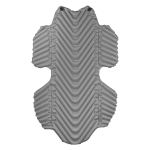 Ultralight Material: The 20D polyester material is the best combination of back country durability and ultra lightweight.